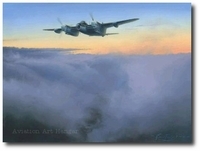 Canvas Gicl�es in 2 sizes! 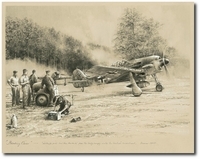 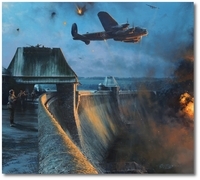 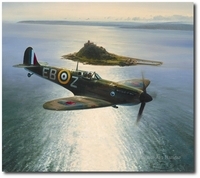 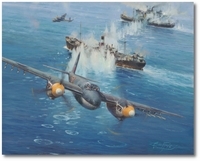 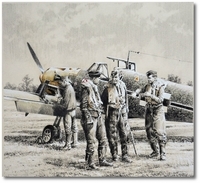 "The Dambusters - Last Moments of the M�hne Dam"
"D-Day Drop - 'Stick 21'"
"D-Day - The Airborne Assault"
24-Signature Tribute Proof in Stock! 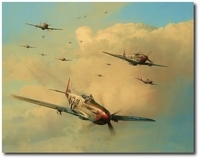 "Fighting Red Tails - The Tuskegee Airmen"
"First of Many - Douglas Bader Tribute"
" Flying Tigers - The Stuff of Legend"
"The Greatest Day - The Battle of Britain, 15 September 1940"
"The Legend of Colin Kelly"
"Low Holding Over the San Jacinto"
"Milne Bay - The Turning Point"
"Out of Fuel and Safely Home"
"The Road to the Rhine"
"Schweinfurt - The Second Mission"
"Skipper - Home at Last"
"Spitfires Over St. Michael's Mount"
"The Wolfpack - Outward Bound to Bremen"